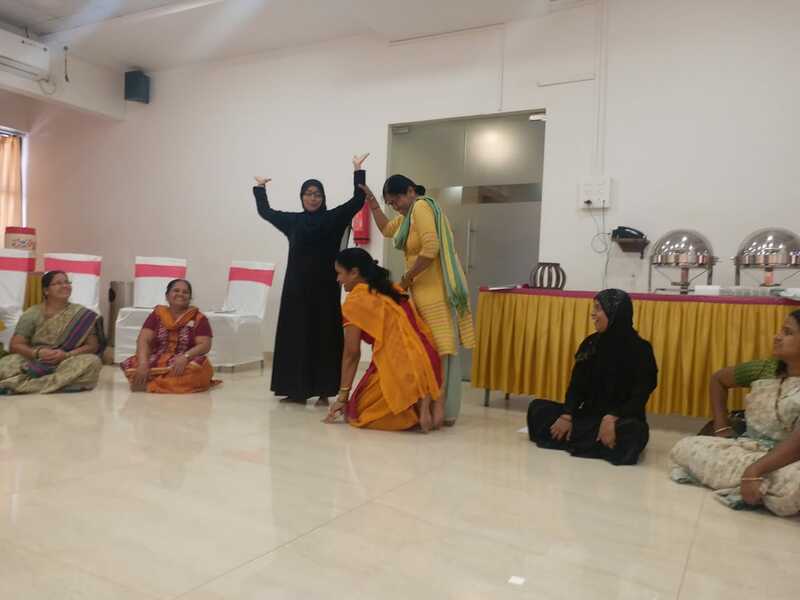 This week our drama specialist Neeraj Shivaikar conducted our first ever non-English Using Drama for Learning (UDL) workshop. It was hosted by Anubandh, an NGO based out of Ratnagiri. 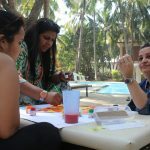 They conduct monthly workshops to improve the competency levels of teachers teaching at the Zilla Parishad and Nagar Parishad Marathi medium schools. Neeraj pens down his process and experience of sharing our UDL with these educators in their own language. What was your process in preparing for this demo? The preparation process dealt with simplifying the application of exercises to their own teaching. The teachers were mostly from the primary grades, and therefore teach all subjects to their learners. It was imperative to point out the necessity of actual learning happening in a classroom as opposed to mere syllabus completion. I also tried to look at the type of theatre that they may have been exposed to. It was mostly text based, with no exposure to devised or alternative types of theatre which uses these exercises as a means of achieving result during the rehearsal process. 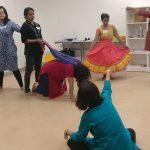 Does the language of discourse play an important role in the Using Drama for Learning program? Why and How? The language plays an extremely important part in conducting a session. As I have observed before, even in a majority English speaking school, the teachers that may not have a good grasp of the language tend to get left out of the activities and sometimes misunderstand the application in their own classes. At other times, they shy away from asking questions about concepts that are unclear to them, since they do not speak English very fluently. However, once this barrier is absent, it makes it much easier for the participants to take ownership of the exercise, even begin planning their own version of it in their minds. The teachers participated with full gusto, as if they were students themselves, however, when I ‘paused’ the exercise to explain what it was really about, to include a bit of side coaching, the teachers too became all business, and had a dialogue about their own applications. They were quite energetic when the exercise demanded so and were very serious and introspective in exercises like conscience alley.